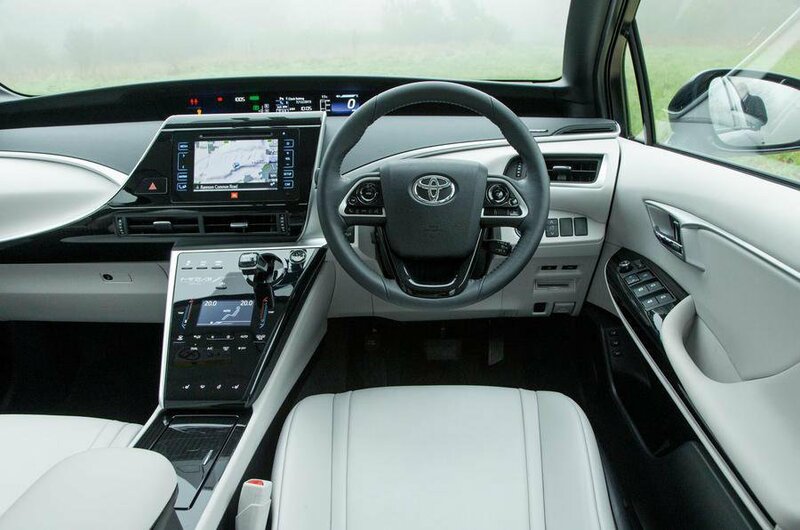 Toyota Mirai Interior, Sat Nav, Dashboard | What Car? Given the sci-fi exterior, it’s no surprise to find that the interior is similarly forward looking. There are no less that three 4.2in TFT screens and a 7.0in touchscreen infotainment system. The instrument cluster is located in the centre of the swooping dash and uses two of those smaller screens to display speed, sat nav instructions and other data. The third small screen is solely to display the settings for the heater and sits between the seats. It’s a nice idea in principal but is mounted too far back to easily see from behind the wheel. 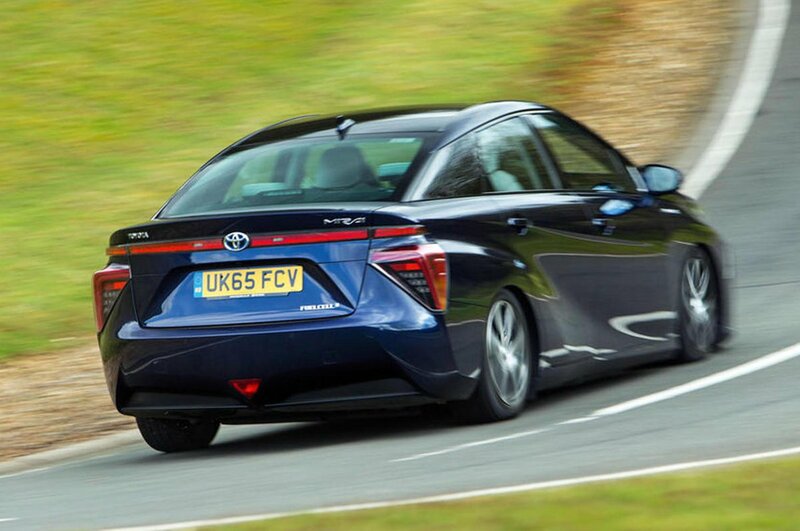 As for the main touchscreen, it’s no different to what you’d find in a Prius or Auris. That means it’s not overly responsive or easy to navigate. 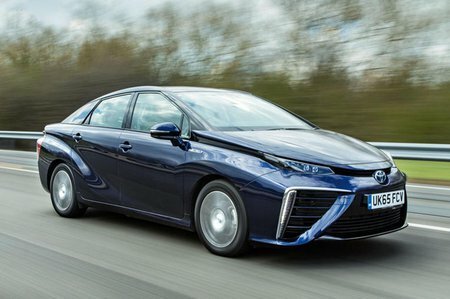 While we appreciate that the majority of the Mirai’s cost goes on the fuel cell underneath, we would have expected some higher quality plastics inside. The areas you touch the most are nice and soft, but some of the cubbyhole lids and areas of the dash feel flimsy.